The true king of open water skiffs. The East Cape VANTAGE is the driest skiff in existence. 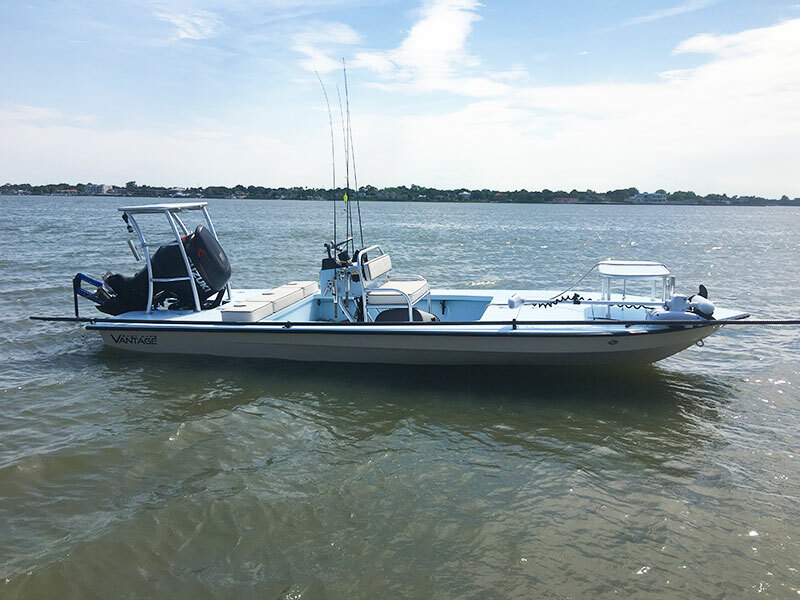 With rough water handling and the safety of larger boat, will get you to the fishing grounds and back more comfortably. 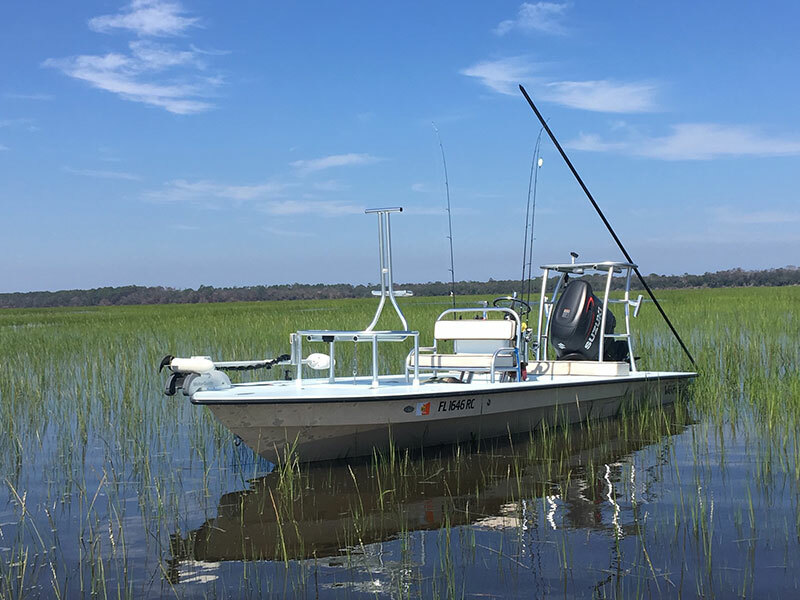 Every Eastcape Skiffs is custom built. 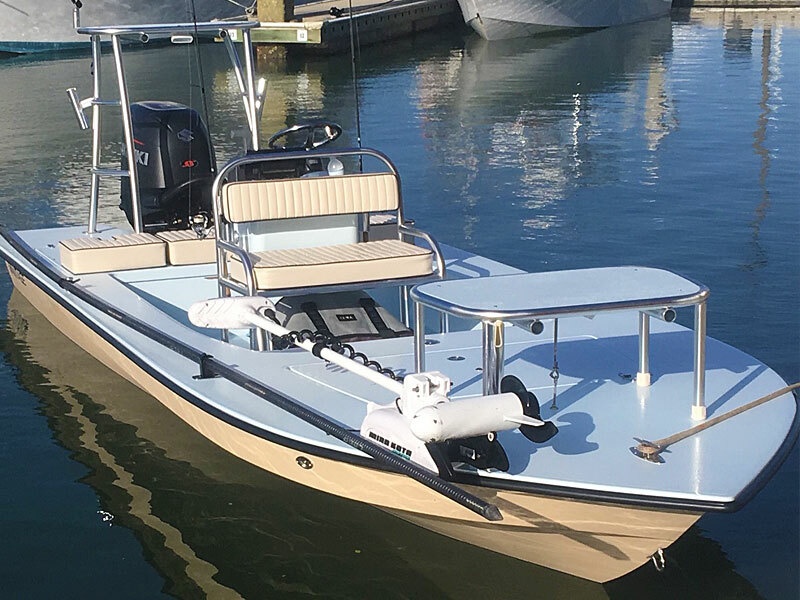 This boat is a one of a kind and the ride is an experience that will not be soon forgotten. It has a draft of 9″and a top speed of 50 mph. 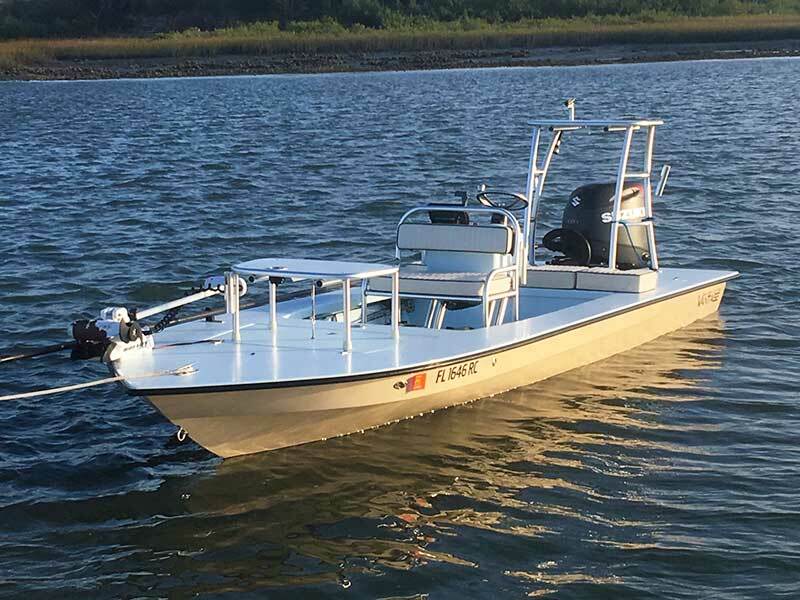 It has an 79″ beam so it's extremely stable to fish out of.